I’m in Alpharetta, GA for product training at my company’s headquarters; I also had to come here in May for Corporate Orientation. When I accepted the offer for my new job I knew I would be spending a good amount of time in Alpharetta (at the beginning) and I knew I would need to find a place of respite, a place to get away. 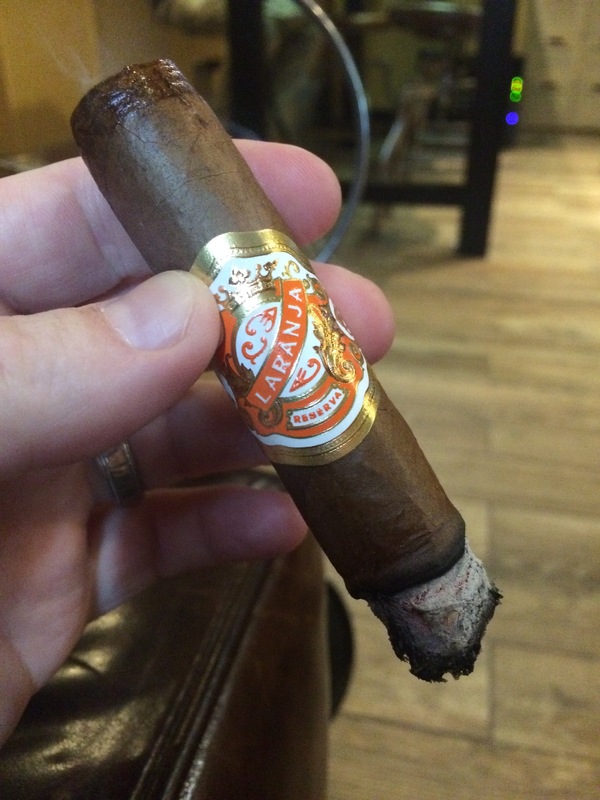 Outside of backpacking or playing golf going to a cigar lounge is the best place of respite for me – there’s nothing quite like sitting back in a comfy chair with a quality cigar and watching the smoke tumble over itself as it wafts and dissipates into the air. 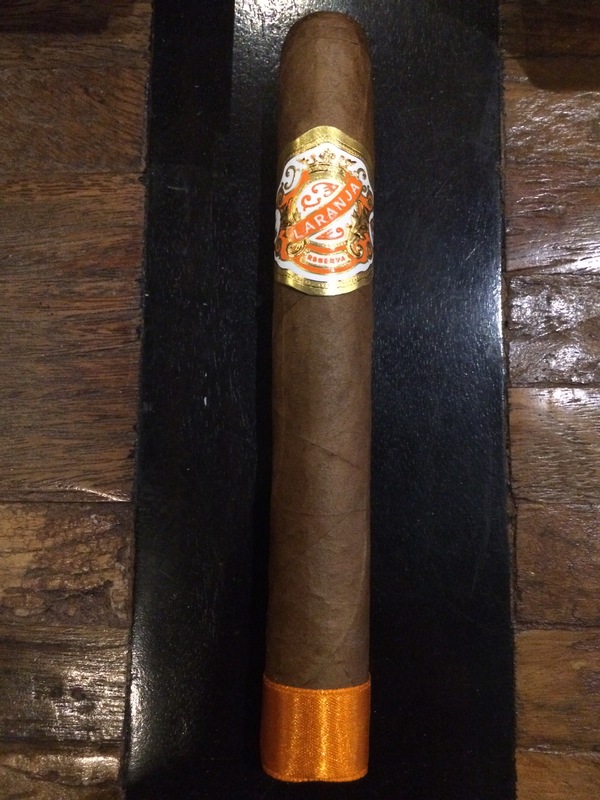 So to escape the stress and tension of training and also the stale air in my hotel room I’ve been spending quite a bit of time at Cutter’s Cigar Emporium. 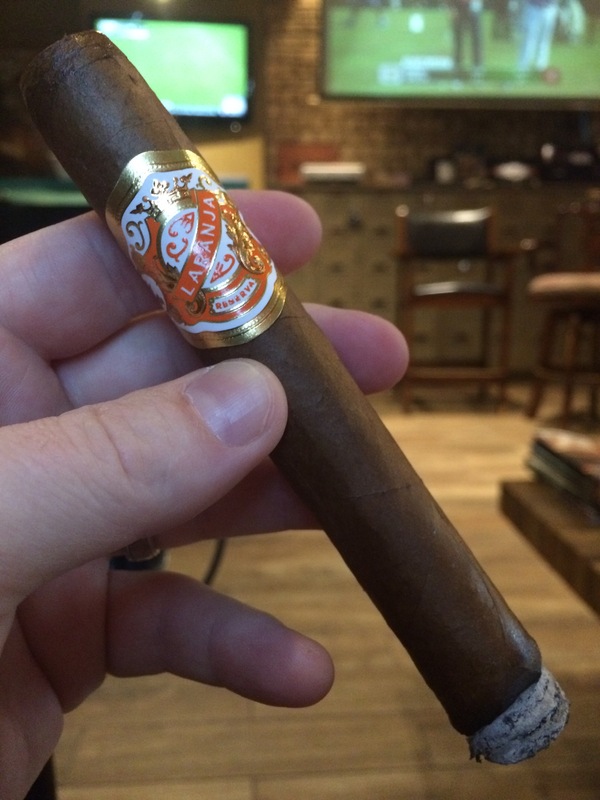 The Laranja* is a cigar I’ve been meaning to review quite some time. 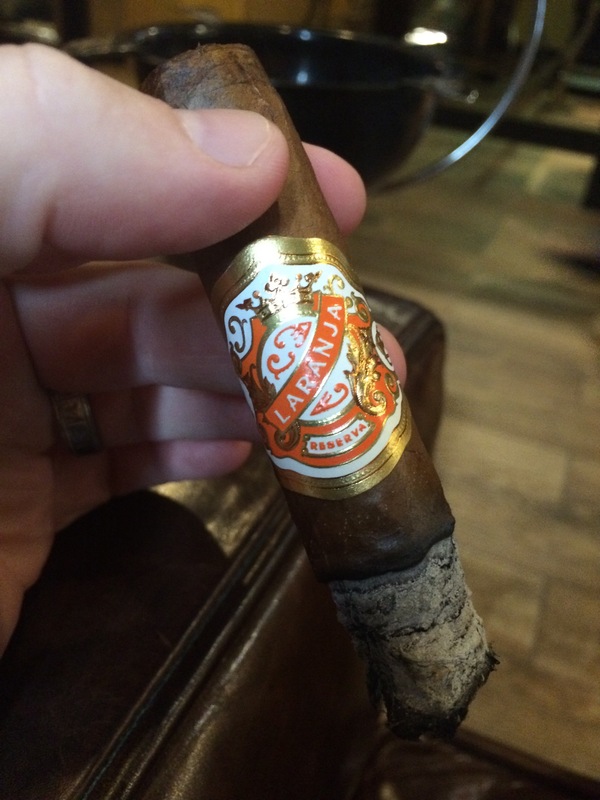 Erik Espinosa released it at last year’s IPCPR. 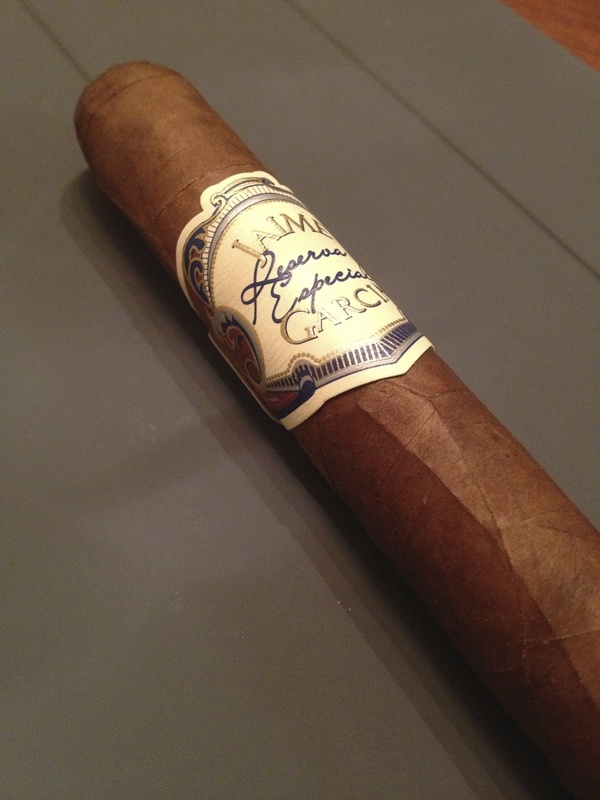 It’s a complex cigar with distinct, tasty notes. *in my original tweet I mistakenly called it La Naranja which is Spanish for “orange”; but Laranja is Portugese for “orange”. 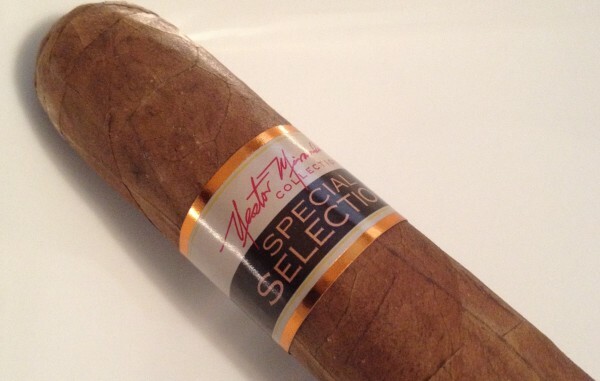 Vitola – Toro, 6″ x 52. 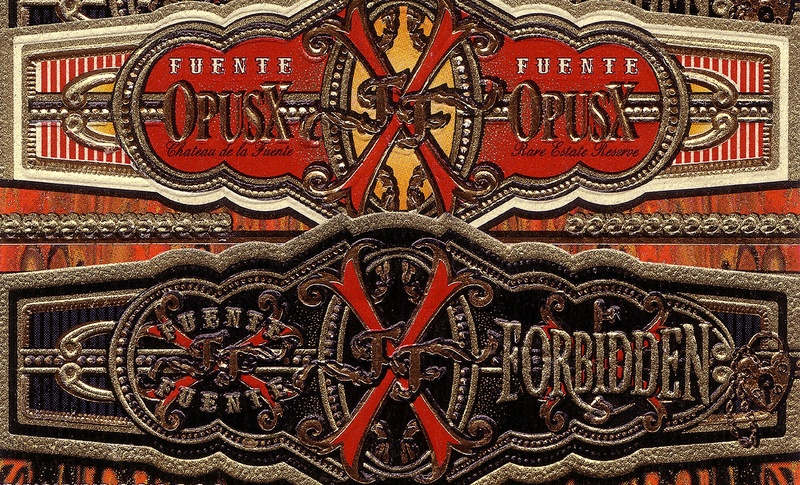 An ornate band and an orange ribbon footband. 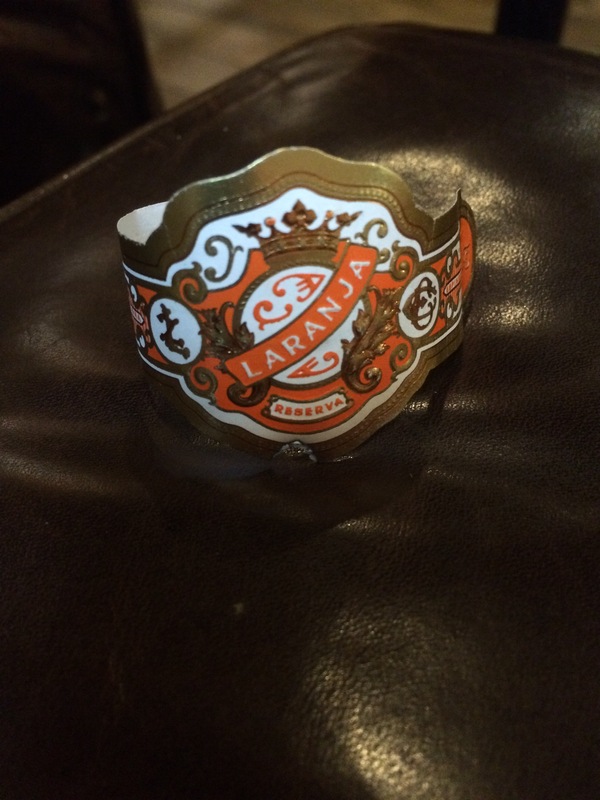 Milk chocolate colored wrapper with an orange tint, it also has a smooth, oily finish. Mostly invisible seams, with visible veins. 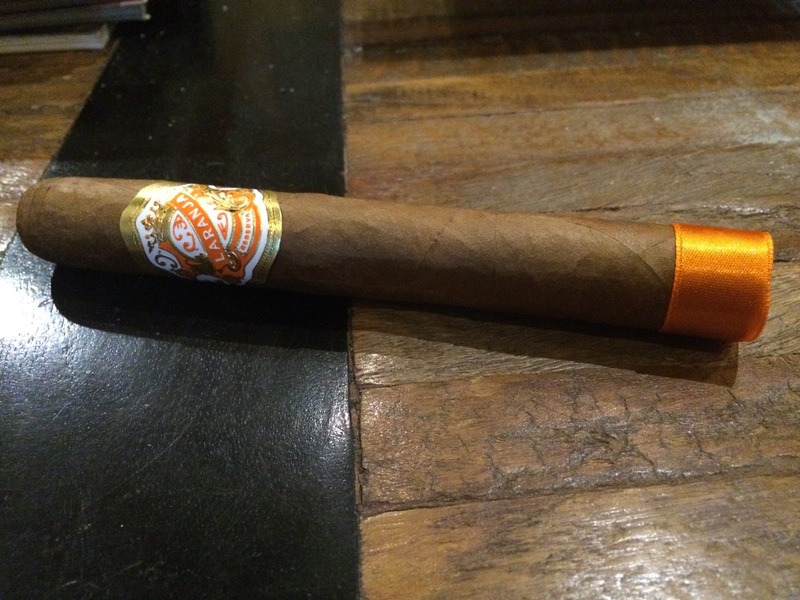 Overall a good looking cigar. Even burn, no complaints and the ash holds on for about an inch and a half throughout the smoke. Perfect draw – not too loose, not too tight. 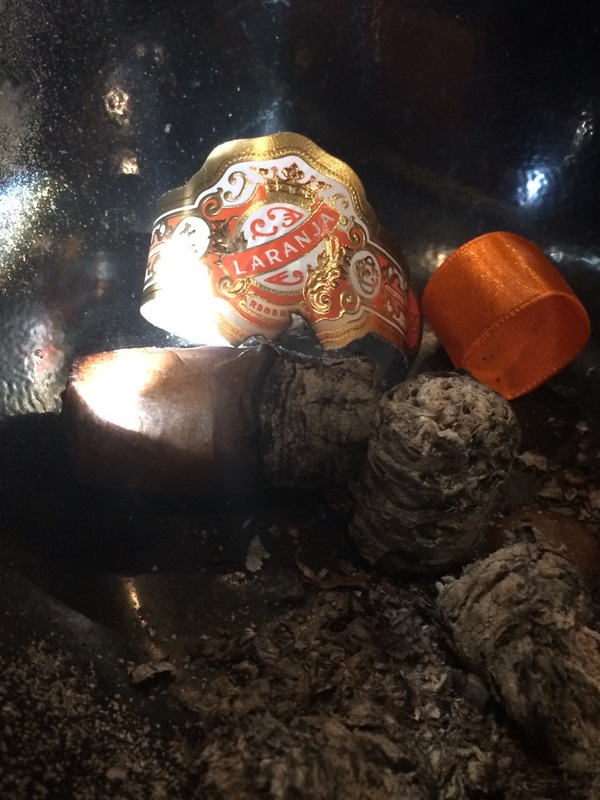 Had some issues in the 2/3 as it went out unexpectedly but I tapped off the ash, blew through it a couple times to get the stale smoke out, relit it, and the Laranja came back to life like a champ. Nutty, creamy, a lil bitter. 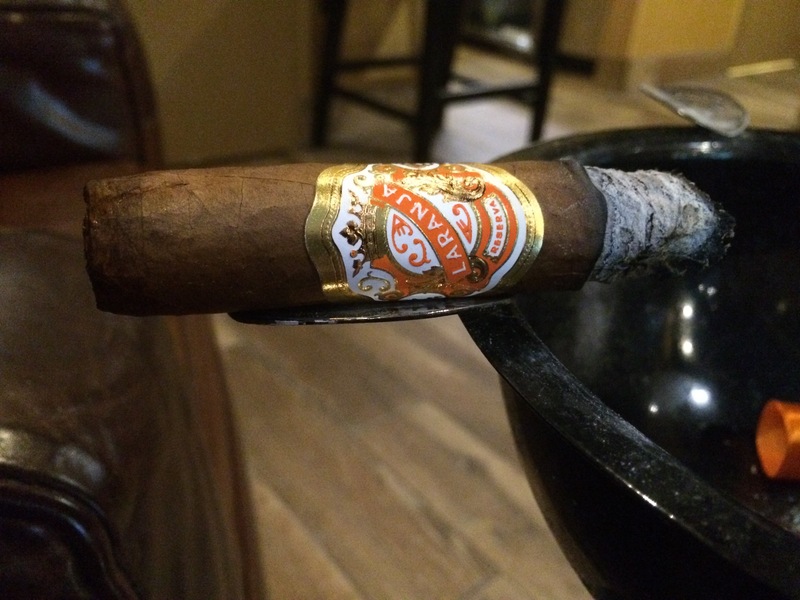 1/3 – Leather, creamy, nougat, very short finish. Just warming up and it’s off to a good start. 2/3 – it’s fully warmed up now and there is a lot going on with the flavors! More nougat, cedar peaks through to compliment the nougat, sweet leather, it is sweet on the lips, and has some hint of floral background notes. 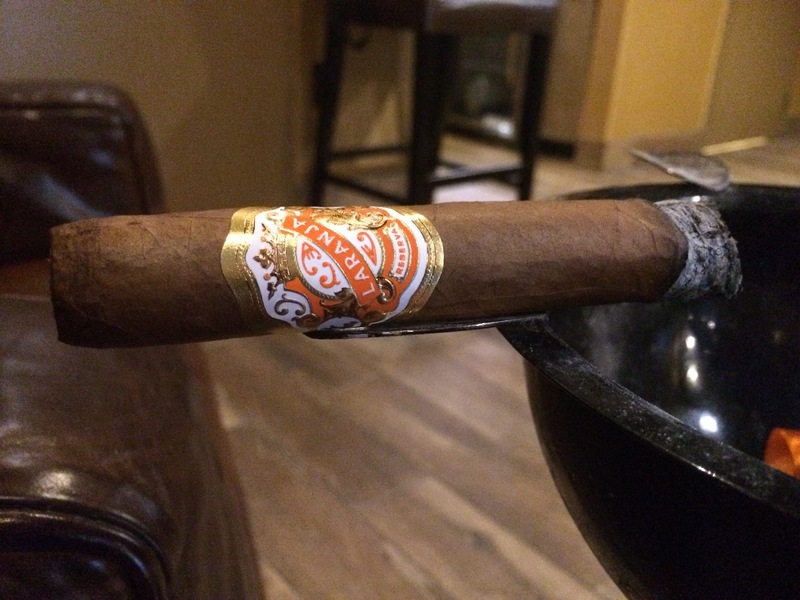 The extra flavors are adding a great depth to this tasty cigar. 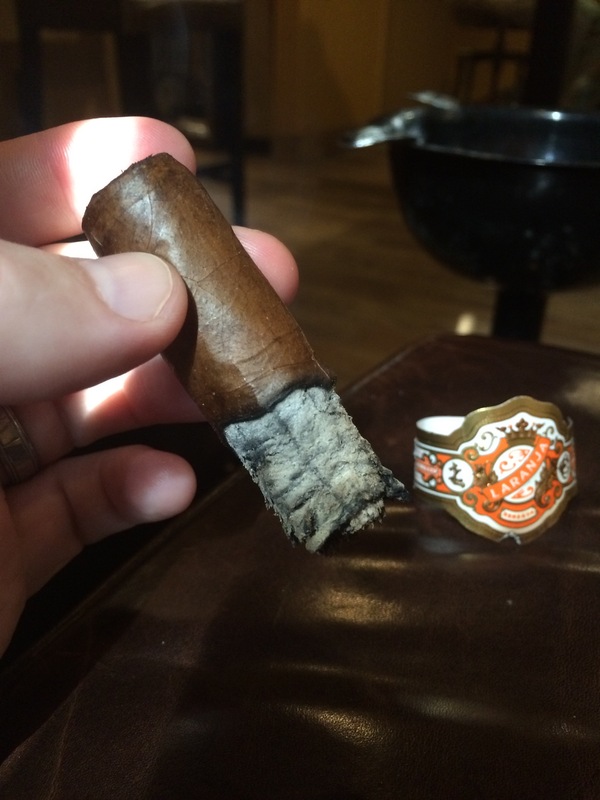 3/3 – Leather, cedar, nougat, are the dominate notes as we start to wind down and it is still sweet on the lips. The finish lingers a little longer which I appreciate. Smoke Time – 1 hour 45 minutes. Strength – Medium. It’s there but not overwhelming. Complexity – Quite complex! 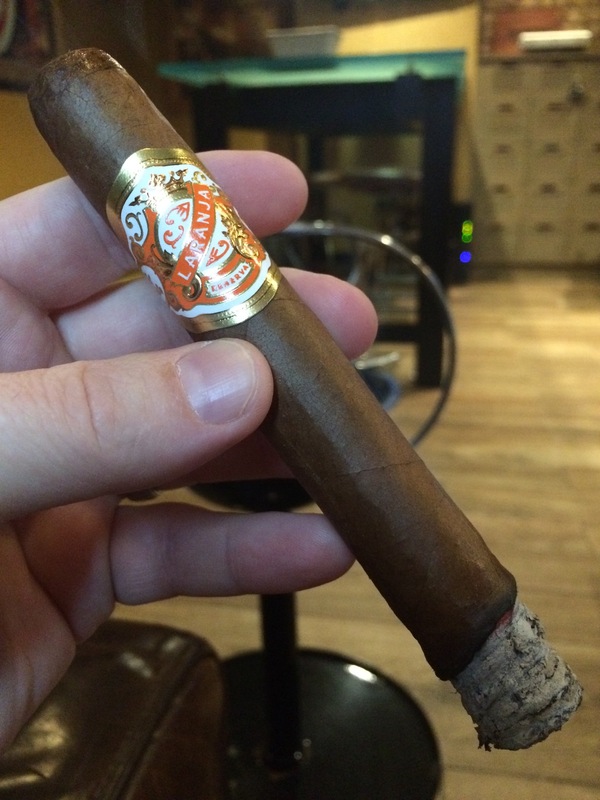 Distinct flavors show themselves throughout the cigar. Golf or Session – Session. Too much going on to fully appreciate this cigar while on the golf course when I’m searching for my drive that has a killer slice. 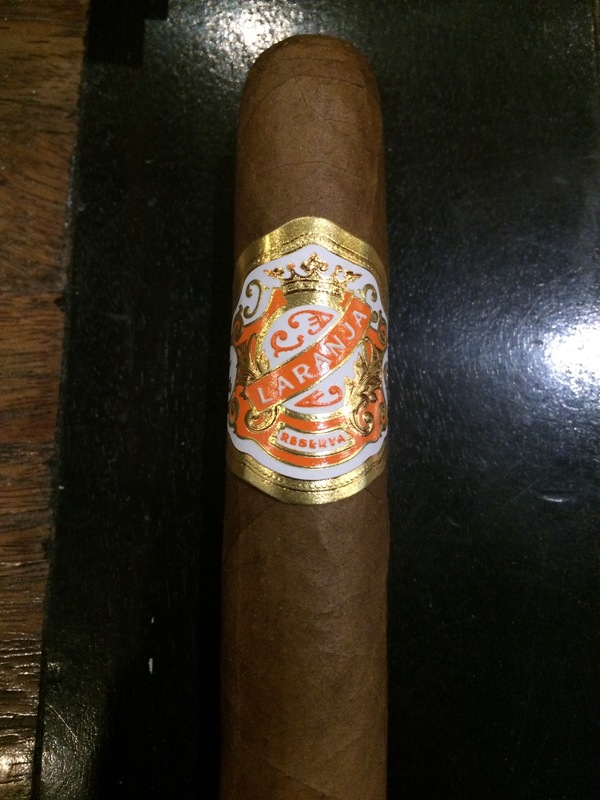 Smoke again – Absolutely. 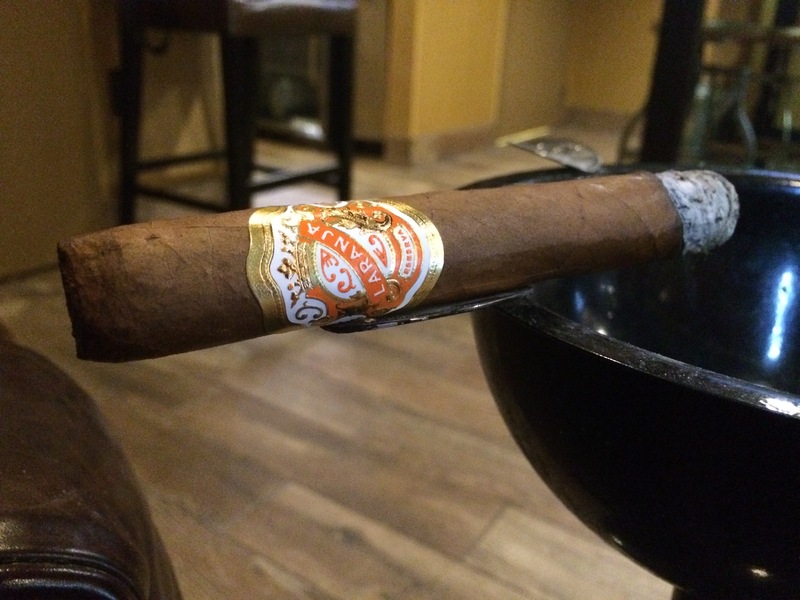 This was a great afternoon cigar but also could be enjoyed any time of day. For my tastes I’d probably stick to the morning with coffee or afternoon. I prefer a little more meat in my cigars in the evening.